Acentuado con detalles vibrantes y un bolsillo adicional para almacenaje, este estuche para cámara está hecho a medida para adaptarse a la mayoría de las cámaras digitales. Las opciones de transporte incluyen una conveniente trabilla o un cordón desmontable. We buy this case for all of our cameras. Our company does cell tower maintenance, and it's the right size for our climbers. They tie it to a lanyard, climb the tower, and it protects our cameras. 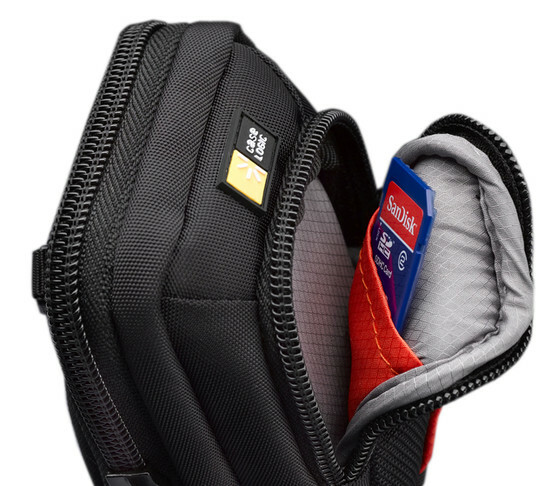 There is a sturdy pocket for extra batteries, and it fulfills our needs. Other cases are too bulky or do not close up all the way. 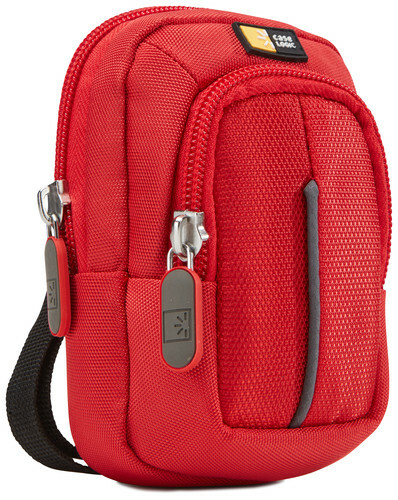 This one has strong zippers and is just perfect for being knocked around. It really holds up To the everyday abuse. Extremely well padded, what I would call 'firm' or 'dense' foam on the back side of the case - very good protection. 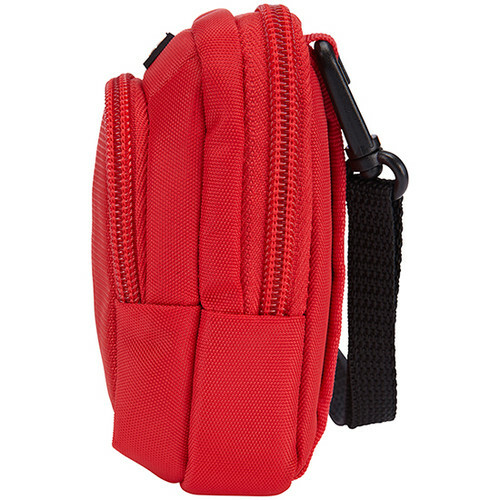 Between the large and small pockets is 'normal' padding and the small front pocket has normal padding as well. 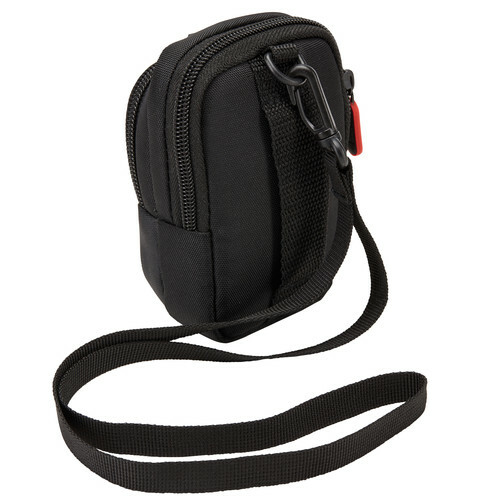 I use it to carry my small dashcam in the main pocket, and two extra batteries in the small pocket. It is actually a little oversized for this camera, but I can use the extra room to throw in the battery charger too. 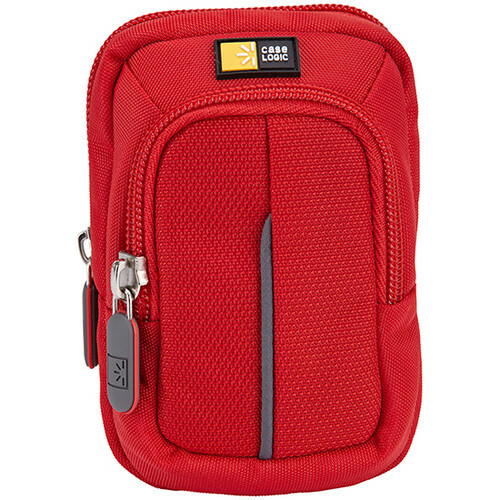 There is a little inner pocket in the small compartment and it just fits the microSD adapter in its case. 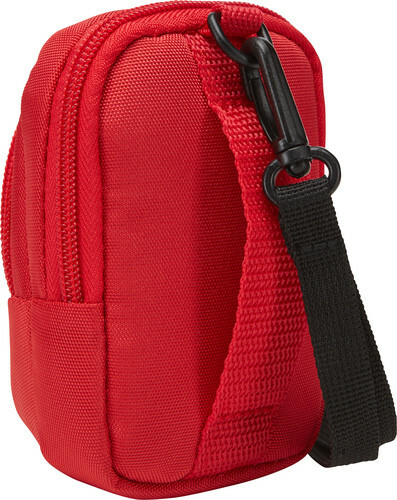 The small pocket is interesting because it is bigger than the zippered opening - it's tapered at the top, but nearly as big as the large compartment. My interior measurements are large compartment: 4.5" X 2.75" X 1". Small compartment: 4.25" X 2.75" X 0.75" (tapers, so smaller at one end). The belt loop is really durable - I haven't used the strap yet. Product is compact, sturdy and made of durable material. Simply the perfect case for my Cannon compact digital camera. Fits my Samsung WB150F just perfect !!!!!! This case is just the perfect size for what i need it for. 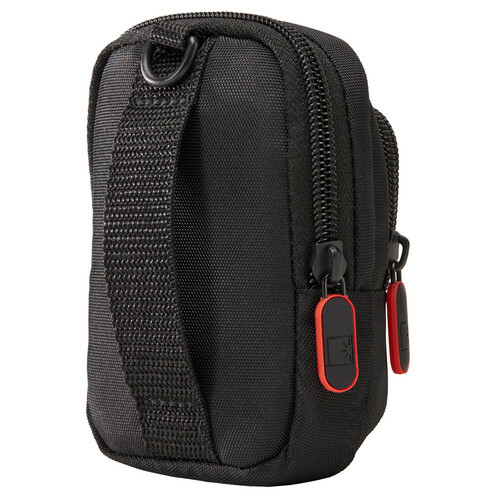 I use this product to store my Sony DSC-H55 camera. 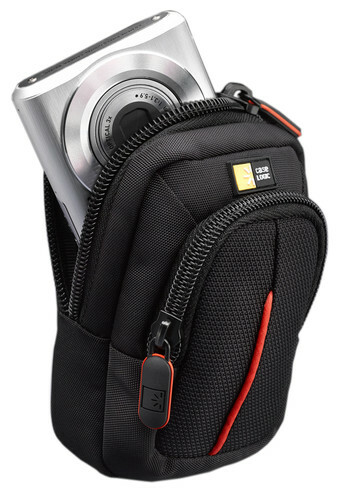 It has adequate space to hold the camera, and also has space to hold an extra battery and memory card. very well made and fits my Canon IS 1400 perfectly!